Samsung was one of the first manufacturers to embrace netbooks and has released a large number of impressive mini machines. The NF210- A02UK may not offer much innovation, but it's a solid netbook with incredible portability and strong usability. Regular travellers require a long battery life and this netbook certainly delivers with 519 minutes of life away from the mains. While this can't quite match the Samsung N230's 628-minute battery life, it still beats most modern netbooks. The chassis is a little chunky towards the rear, with a sloped design that hits 37mm at its thickest point, but it's a compact build that should still slip into bags with ease. At 1.3kg, it's barely noticeable, even when carried around all day. The sleek white lid masks an all-black interior that looks smart, although there is some flex around the palmrests. Netbooks can suffer from reduced usability due to their reduced chassis size, but Samsung has included a well sized isolation-style keyboard. The gaps between keys make it great for touch-typing, although the right side of the keyboard is a little cramped, with a tiny Shift key and directional keys. The touchpad is, of course, tiny but also smooth and perfectly sensitive. Intel's Atom processors – low voltage chips that are energy efficient, but provide basic performance – have been used in netbooks since their inception. This netbook is one of the first to use the new dual-core Atom CPU, and we were keen to see how it compared. The integrated Intel graphics card means limited multimedia power also, so you're restricted to browsing photos and watching video. A matt finish has been used on the 10.1-inch screen, which eliminates annoying reflections and means you can comfortably work in any lighting conditions. However, images aren't quite as vibrant as we'd like as a result. Features are as limited as you would expect for such a small machine, with no room for a DVD drive. However, the 250GB of storage is enough to hold a reasonably sized media collection. Three USB ports let you attach peripherals. 802.11n Wi-Fi allows speedy wireless networking, and there's also built-in Bluetooth. 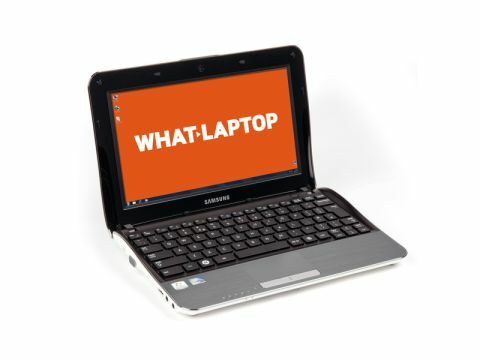 We were impressed by the portability and usability of the Samsung N230, making this an easy netbook to recommend. It's just a shame the dual-core Atom processor does little to improve performance.